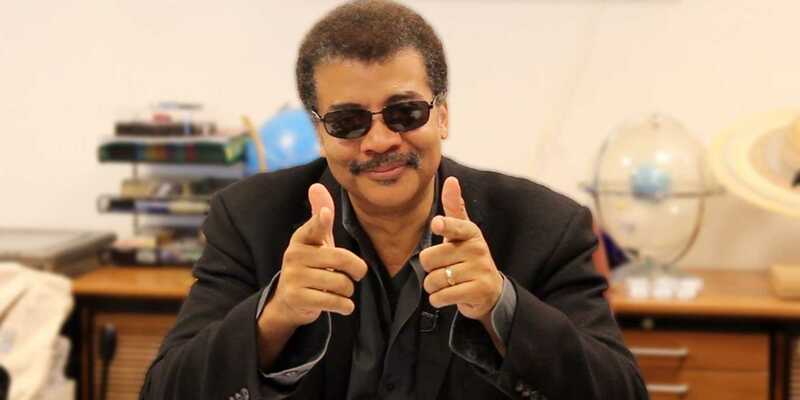 Neil deGrasse Tyson: American astrophysicist, author, science communicator, AND television show host to one of the best things i’ve watched in my lifetime, Cosmos. For those of you that don’t know I am a huge science nerd, in particular anything that has to do with space exploration. Naturally, people like Dr. Tyson have caught my attention when it comes to this kind of stuff. His new show, Cosmos, is a remake/extension of the 1980’s show with the same title hosted by the great Carl Sagan. The show is absolutely amazing. The content, visuals, and sounds are the perfect combination of mediums to help a wide range of people understand the content. That and the voice over by Tyson has created some of the most enthralling TV I have ever watched. I can’t look away! Cheers to you, Dr. Tyson. Can’t wait for the other 11 episodes to air. Posted on March 20, 2014, in Badass of the Week and tagged average nobodies, badass of the week, cosmos, degrasse tyson, neil tyson, show. Bookmark the permalink. 2 Comments. I just watched the first episode, I thought it was a little cheesy at first….but then got completely into it and majorly regret thinking that, its incredible and the best thing to happen to cable. I’m right there with you. I can’t remember a show that I’ve watched where I have my eyes locked on the TV for the entirety of it. So awesome!